Been a quiet couple of weeks on the posting front. It’s not that I’ve not been doing anything, it’s just that I haven’t gotten anything finished, so nothing to show off really. 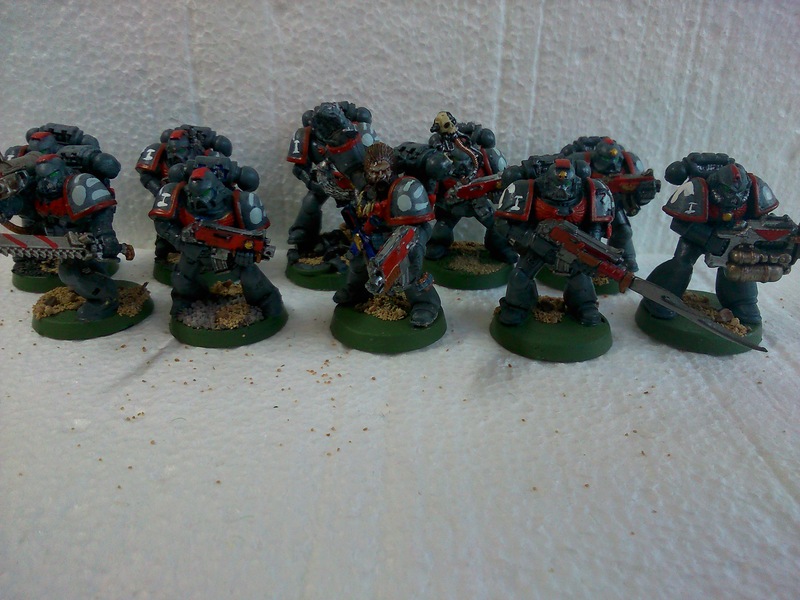 But I’ve just finished basing this Terminator Assault Squad for my Steel Guard Space Marine army. 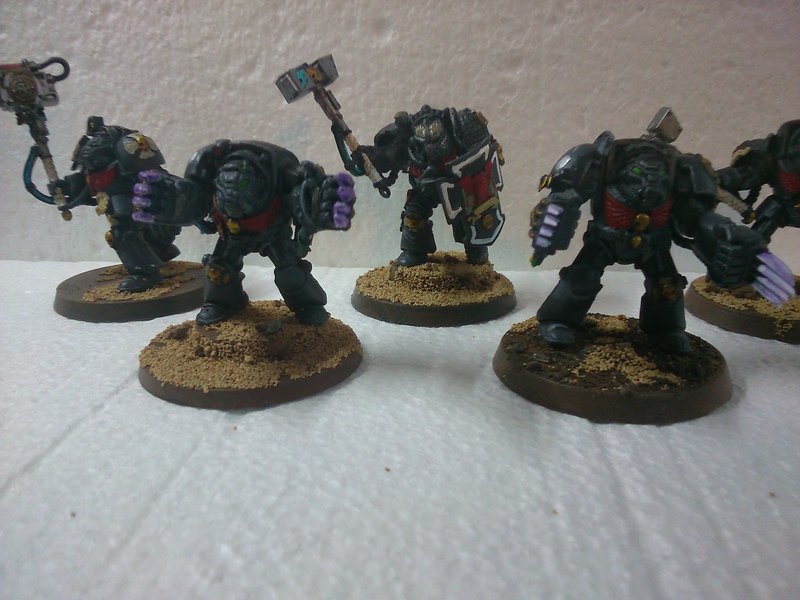 I’ve used a variety of models, an old lead Grey Knight body for Segeant Rakosi (though I’ve used modern plastic arms so that I can give him a thunder hammer and storm shield), an old lead lightning claws termie, a couple of plastic terminators from mid-late period wh40k, and finally a Dark Vengeance termie that I have given a truly huge thunder hammer for uber-smiting. I’m generally quite pleased with these. I’ve tried a few new-to-me techniques here and whilst none of the actually worked, i can see better how to do it next time. 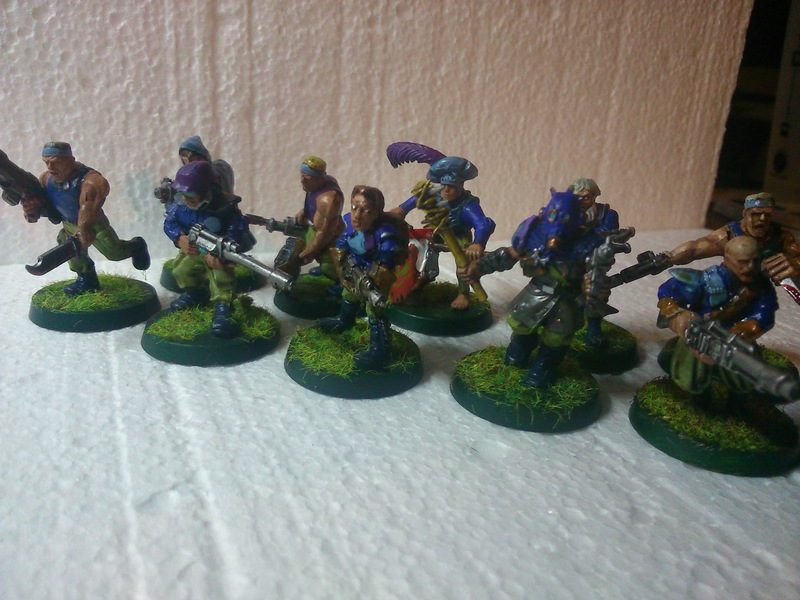 Here’s Squad Rakosi in all their (slightly shabby) glory! 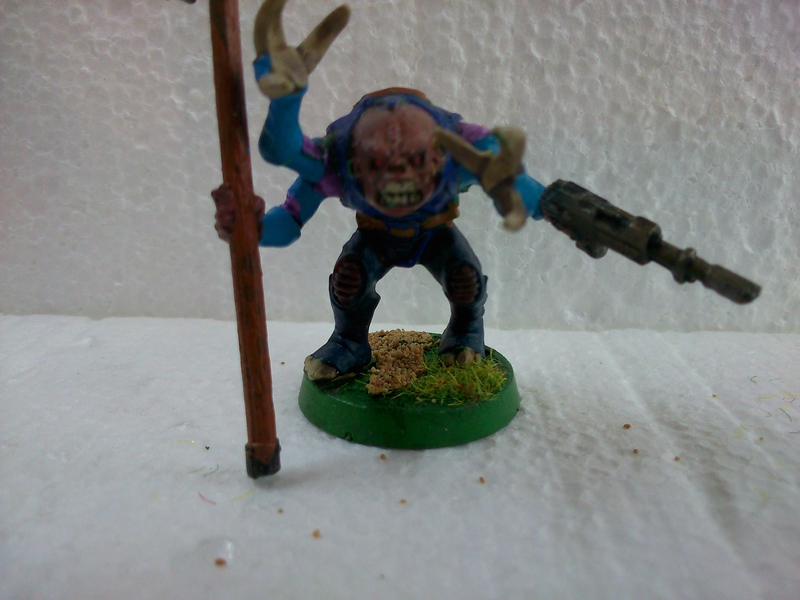 I’ve finally gotten around to basing this lad. 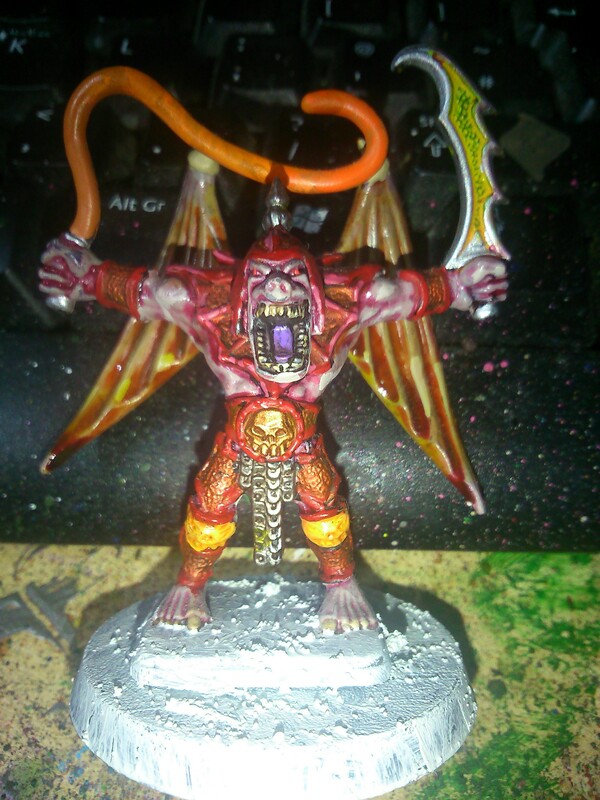 I have no doubt that you’ll recognise the HeroQuest gargoyle. 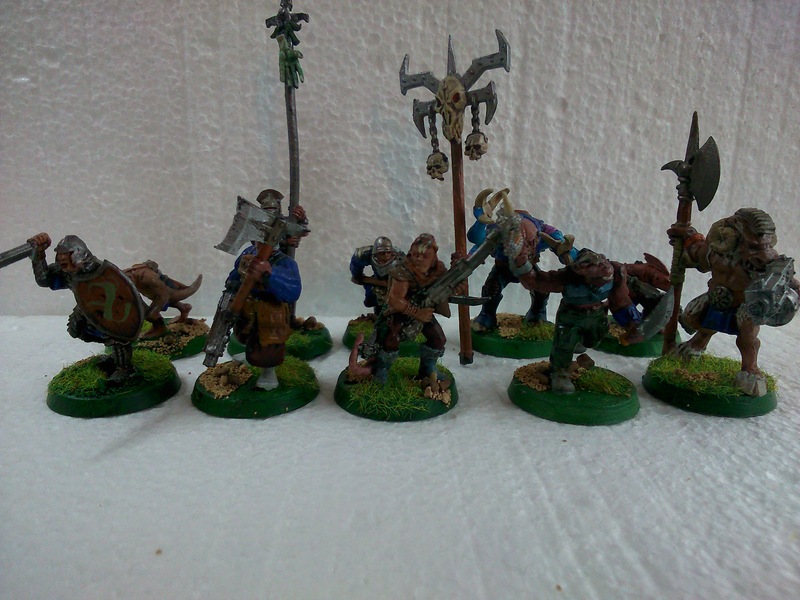 I loved HeroQuest. 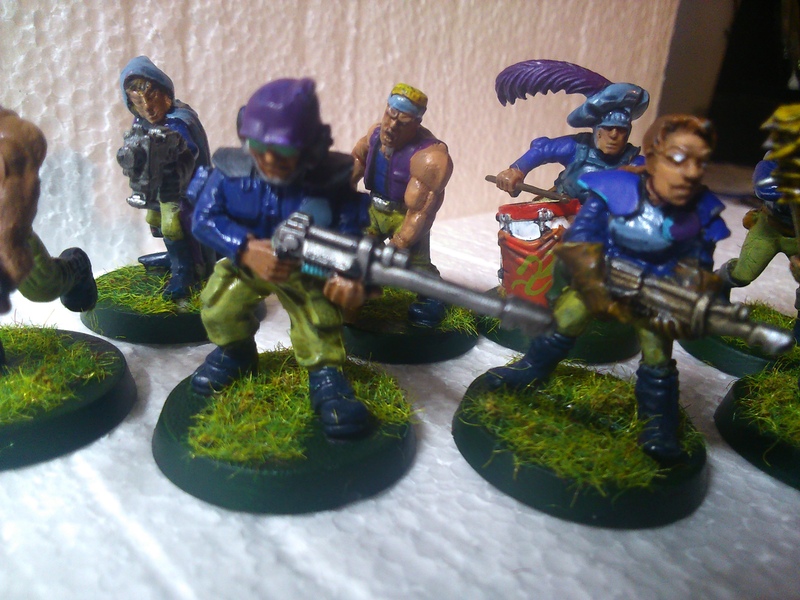 It was my first experience of miniatures and table-top games. 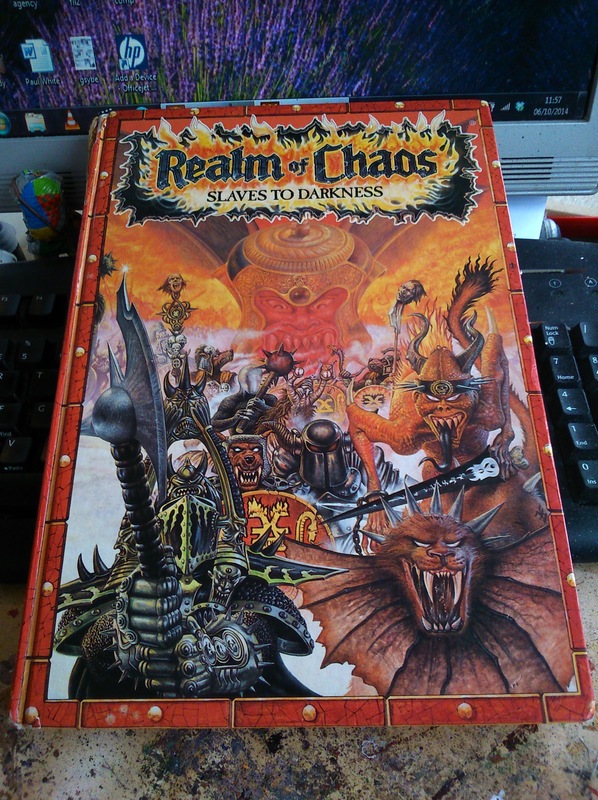 What I liked about it initially was that it brought Fighting Fantasy books to life. 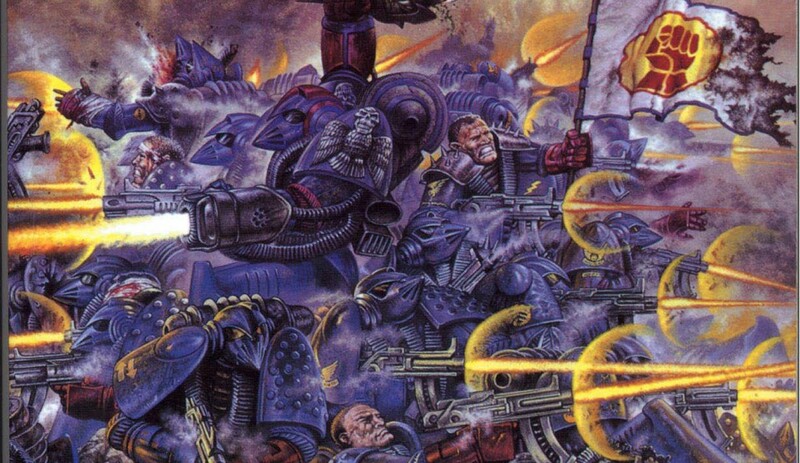 I didn’t know at the time about Games Workshop and the connections between FF and GW. 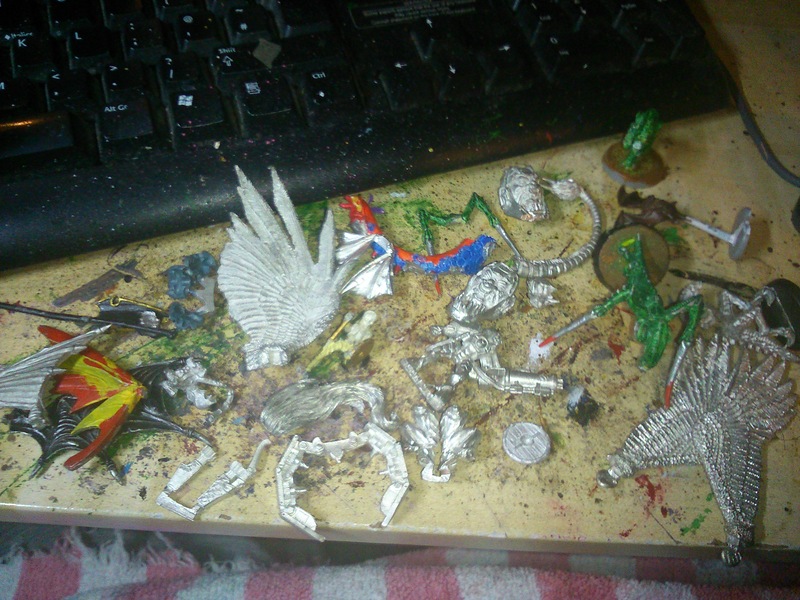 I bought more models from a local games shop, long closed, so that I could have different monsters in my games. 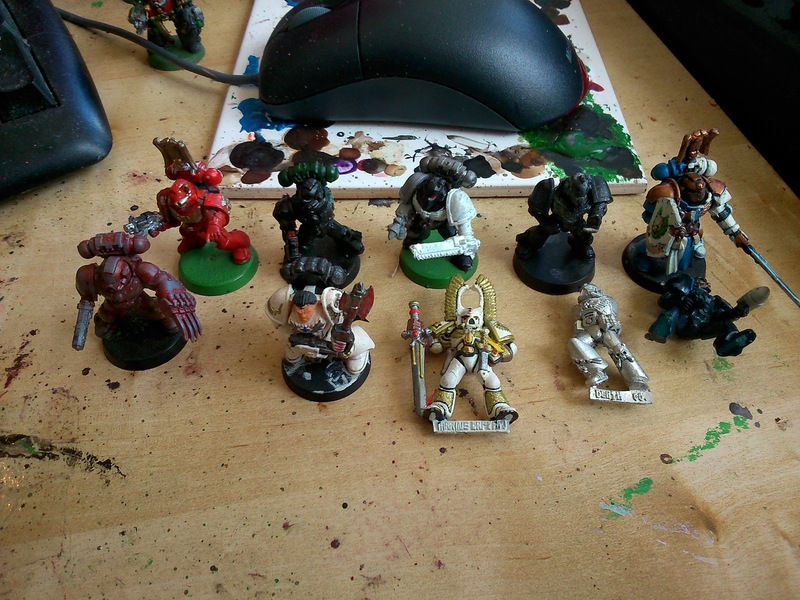 In short order I discovered White Dwarf, Space Crusade, Rogue Trader, and Warhammer. When I was a little kid I was well into Transformers. The success of Transformers meant that foreign transformers with lead paint were being imported illegally into the UK. One of our local shops had loads. So many out of print transformers! So cheap! Such WANT! Fortunately my mum was alright, she bought some for me, as long as I promised not to put them in my mouth. 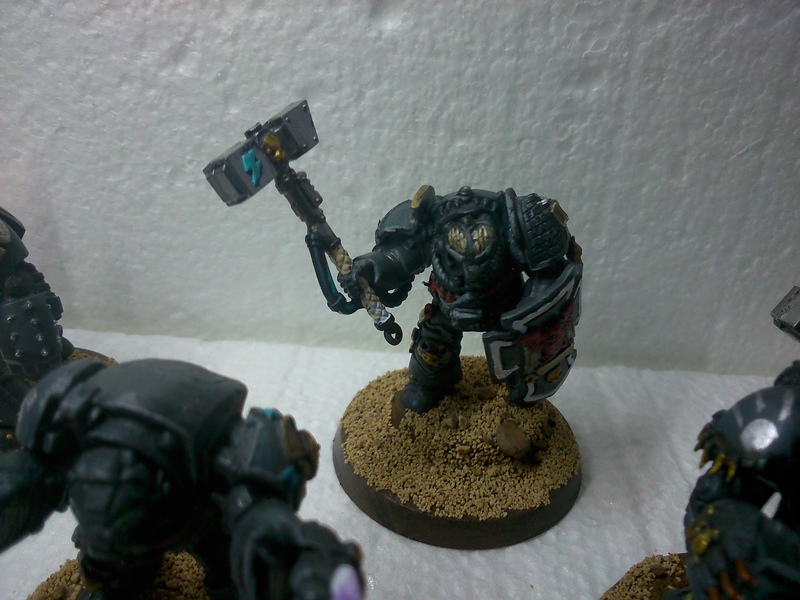 Just finished basing this guy. 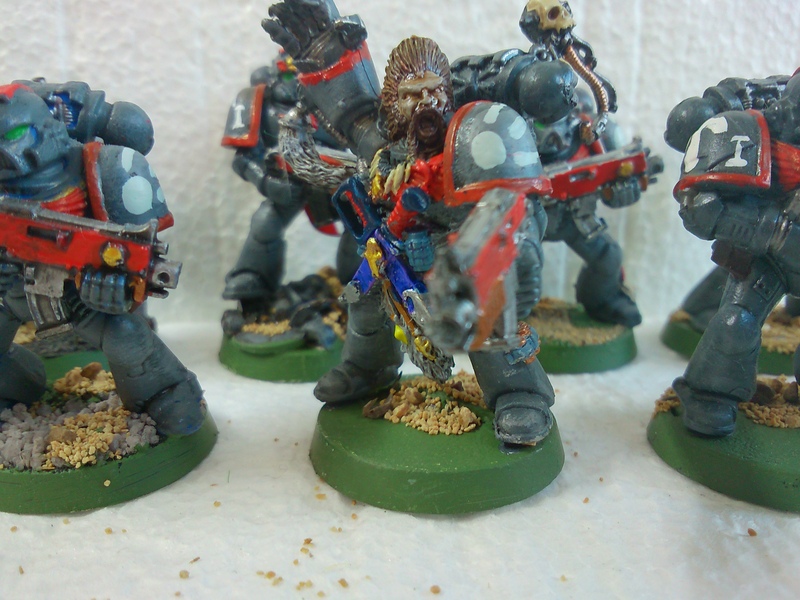 Oldhammerers will recognise the model as a Space Wolves Captain from about 1990. 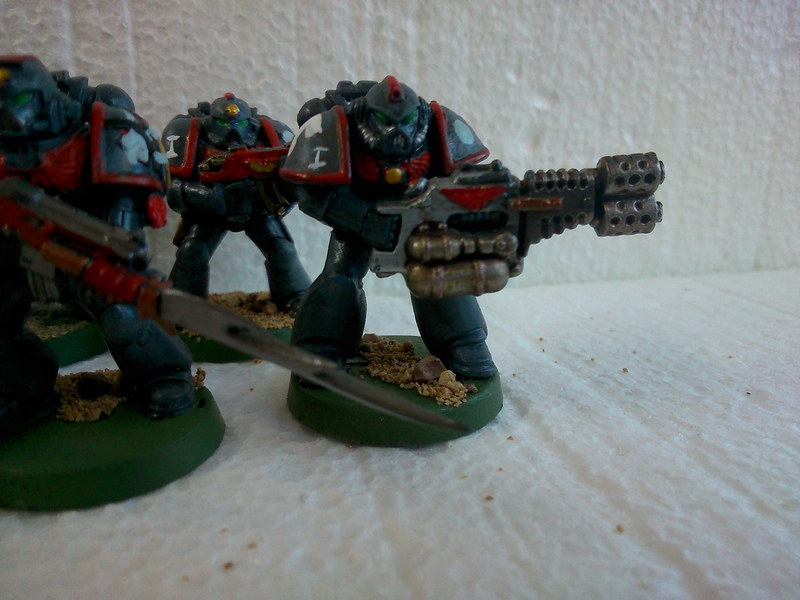 It’s a beautiful model, and one that I felt deserved a special paint job (by my wonky standards, obv). 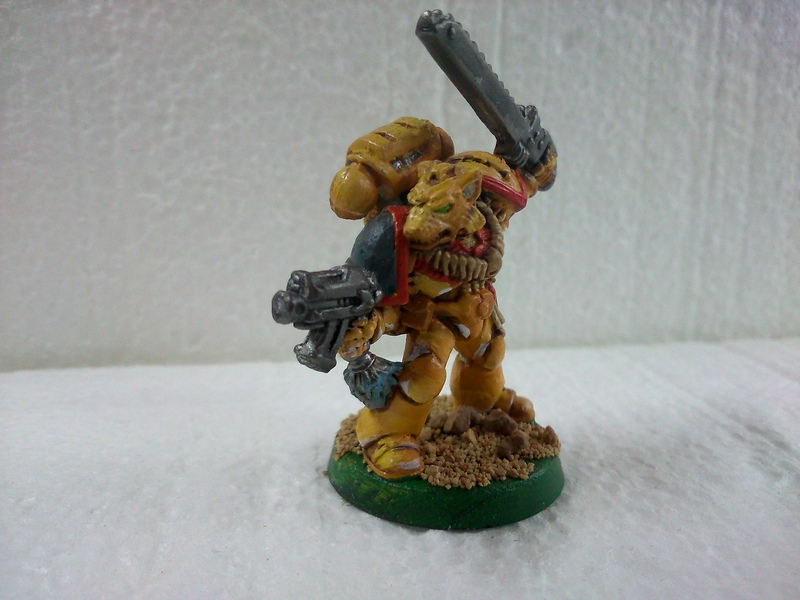 So I decided that I’d use the non-metallic gold painting instructions by Neil Hodgson in White Dwarf 197. Whilst I don’t think its turned out too badly at all, it’s not gold, is it? Still, it’s a paint technique I’ve never tried before, the next one will be better. So anyway, without any further ado, may I present Captain Niqal Vosuqabad, the Steel Wolf! Look what arrived in the post today! Whilst I’ve read a pdf copy of Lost And The Damned fairly recently, I’ve not read Slaves To Darkness since I was a young ‘un and borrowed a copy from James Barker. James was an only child, so he had lots of expensive things like Games Workshop books and the latest Amiga computer games. Stuff that povos like me could only dream of! It was a fascinating read and I wished I had my own copy. I can completely understand why these books in particular have stood the test of time and captivate adults 20 years or more after they were first published. This will be my bedtime reading for a few days I reckon. 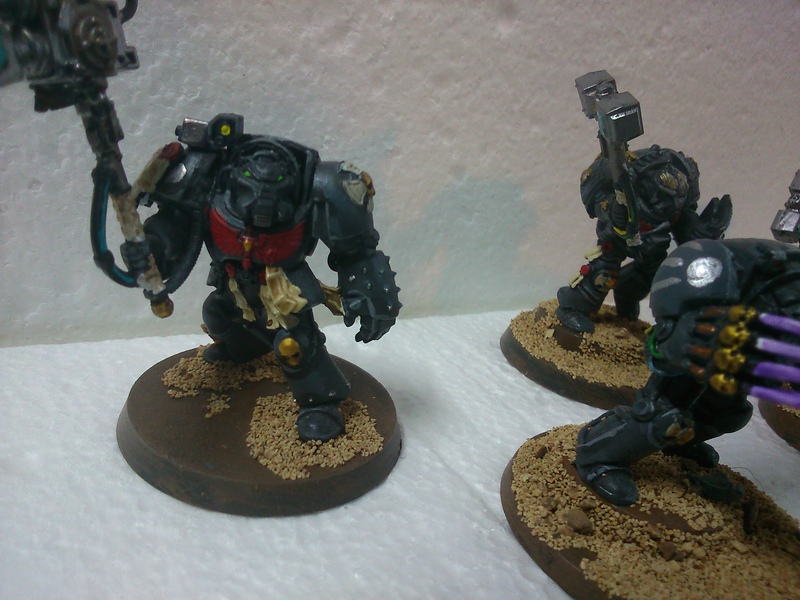 I can imagine that it won’t be long before I’m adding Chaos Warbands to the list of armies I am painting [currently standing at: Steel Guard Imperial Space Marine Chapter; Alpha Legion warband; Ork Freeboota Army].